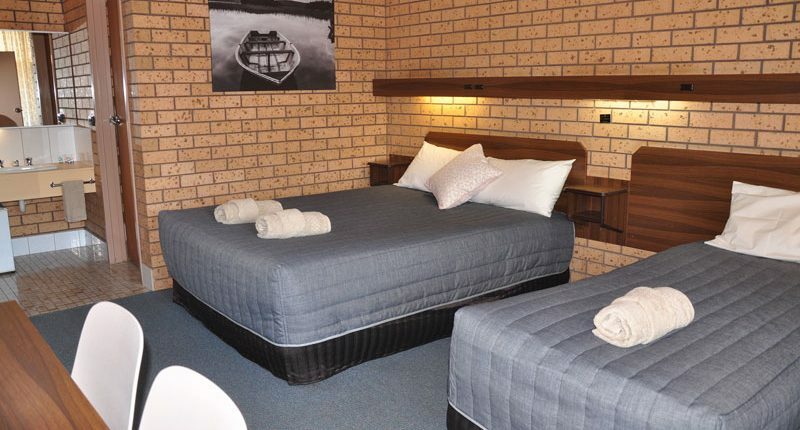 Maffra Motor Inn provides a peaceful, comfortable environment where guests can relax in the comfort of their rooms. 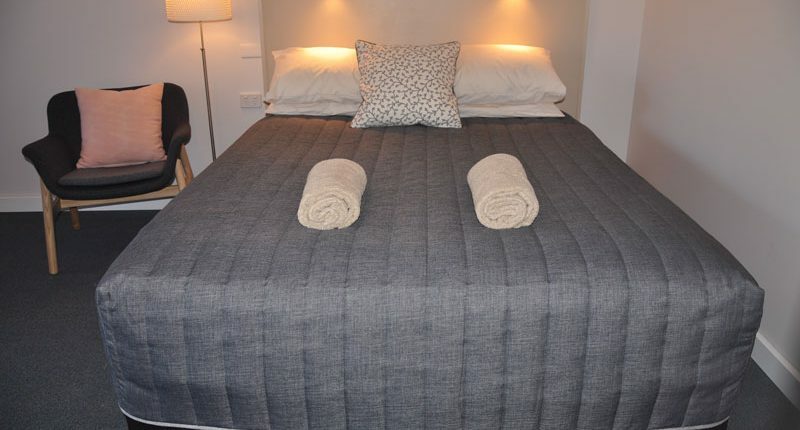 Each room has recently been redecorated and updated with new furnishings, bedding and towels. 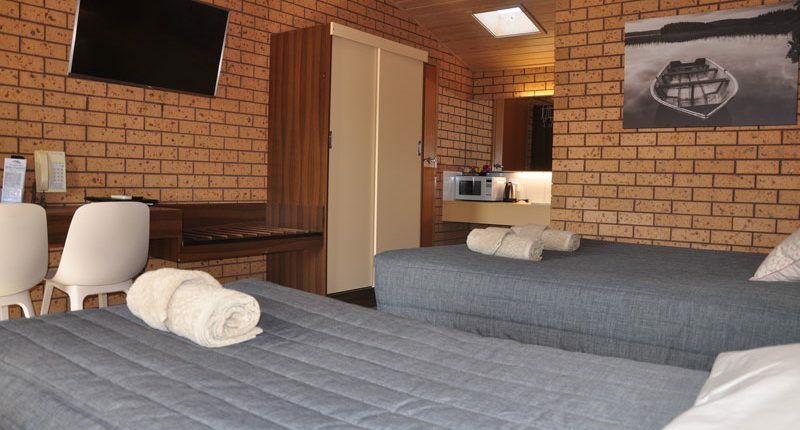 All rooms come with high speed WiFi, a large flat screen Smart TV, reverse-cycle air conditioning, a microwave, a large fridge and tea and coffee making facilities. We offer many different room configurations to suit the needs of our guests. Our Executive Queen rooms cater for up to two people in a comfortable queen-sized bed. 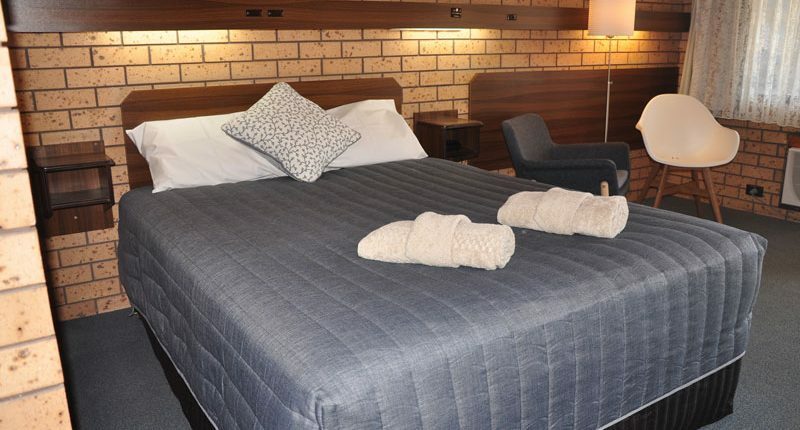 Our Twin Rooms have either a queen and a single bed or a double and a single bed. The Double Twin rooms contain two double beds. There are interconnecting family rooms available that can accommodate up to six people.